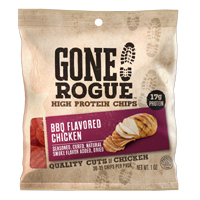 You can get a free sample bag of Gone Rogue potato chips and you get to choose your favorite flavor. Just follow our link and supply them with your postal details and they will deliver it to you. Click GET FREEBIE button and then order a free sample of these potato chips.